Arthur Budovsky, co-founder of popular digital currency business 'Liberty Reserve', was sentenced Friday to 20 years in prison for running a money laundering scheme for hackers, identity thieves, child pornographers and drug dealers around the globe. 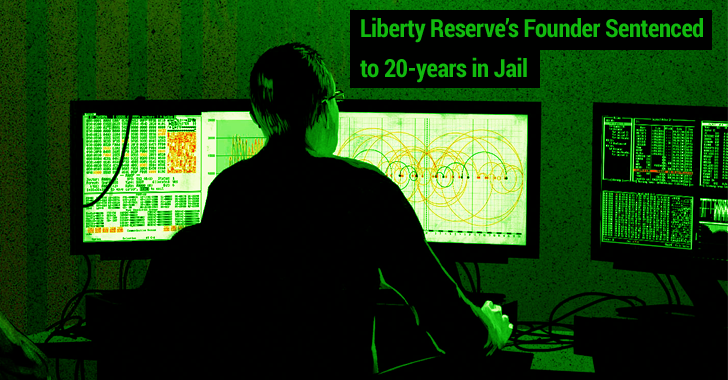 Since its inception, 2005, to the year 2013, when Liberty Reserve was shut down by authorities, the company processed more than $8 billion worth of transactions for more than 5.5 million users worldwide. He was also ordered to forfeit $122 million and fined $500,000. The co-founder of Liberty Reserve, a widely-used digital currency, was sentenced to 20 years in prison on Friday for running a global money-laundering scheme that operated as "the financial hub for cyber criminals around the world." 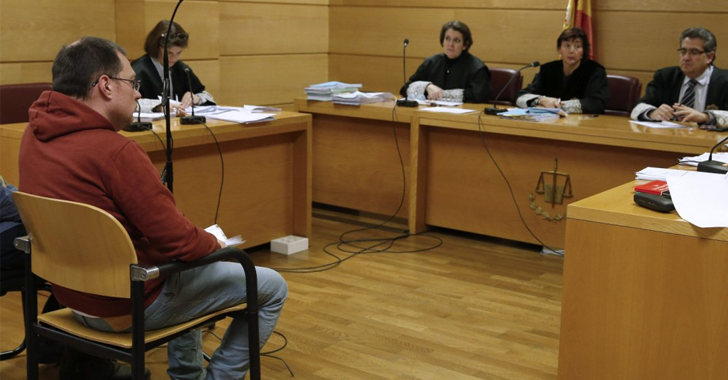 Arthur Budovsky Belanchuk, 42, ran an online digital currency business out of Costa Rica called Liberty Reserve from around 2005 until it was shut down by the federal authorities in 2013 with the arrest of Budovsky in Spain. Prosecutors in New York called the whole thing a "black market bank," contending that it was just a massive, $6 Billion money laundering operation that allowed cybercriminals to conceal and move their illegal proceeds anonymously through digital currencies. Budovsky faced a sentence of life-term in prison before pleading guilty just days before a court trial, striking a deal in which both the United States government and his lawyers agreed to cap his sentence at 20 years. Moreover, U.S. District Judge Denise Cote also ordered Budovsky to forfeit $122 Million and fined him $500,000. Cote said this harsh sentence was necessary to prevent Budovsky from committing more crimes in the future. According to a federal indictment, Liberty Reserve had over 1 Million customers worldwide, including 200,000 in the United States alone. The service handled 12 Million financial transactions a year. Liberty Reserve allowed people to open accounts using little more than a valid email address. They did not have to validate their actual identities. Deposits are backed by gold and other precious metals, and customers could withdraw money by requesting wire transfers to users' accounts anywhere in the world or by having checks sent to individuals. Budovsky and his associate, Vladimir Kats of Brooklyn, had previously been arrested in 2006 for a similar digital currency exchange known as GoldAge. They both were sentenced to 5 years in prison for engaging in the business of transmitting money without a license but got probation. Both Budovsky and Kats moved to Costa Rica to avoid the US law enforcement.